The Expo Park is the site where Expo Osaka was held in 1970, it’s 15km north from the center of Osaka city. There are quite a few famous spots there, for example ‘The Tower of the Sun’, Japanese Garden, and a variety of sports and cultural centers. It’s also selected as one the 100 best sights to enjoy cherry blossom viewing. It’s an enjoyable park all year round with vast lawn square and seasonal flowers including Sakura and Ajisai. 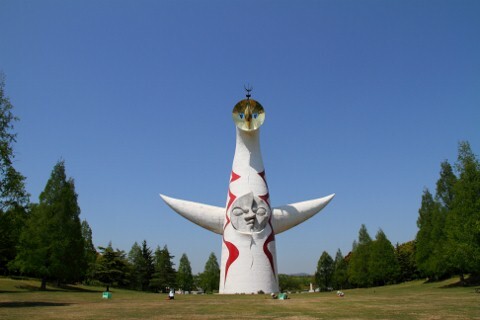 ‘The Tower of the Sun’ is one of the representative works of the Japanese artist Taro Okamoto. Duration------ March 15th-September 13th, 1970, was held over 183-days. Business hours would be changed in case of special events. Take the Osaka Monorail from those stations above and get off at Banpaku Kinen Koen station (万博記念公園駅) or Koen Higashiguchi station (公園東口駅). *When you come from the Osaka Airport, take the monorail at Osaka Kuko station (Osaka Airport Station) and get off at Banpaku Kinen Koen station. *When you come from Kansai International Air Port, take a Nankai dentetsu Line at Kansai Kuko station (Kansai Airport station) and get off at Nanba station. Then, take subway Midousuji Line (Kita Osaka Kyuko Line) and get off at Senri Cyuo station. 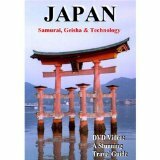 Take the Osaka monorail there, and get off at Banpaku Kinen Koen station.